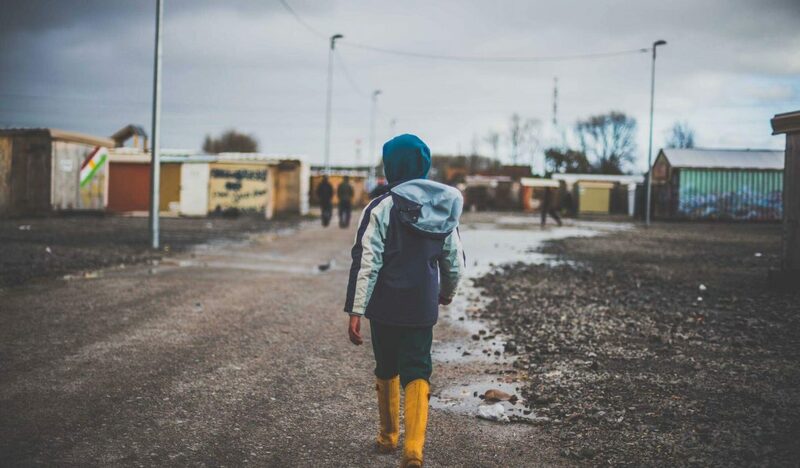 Last week we released our latest report on the state of the refugee crisis in Northern France, with some very disturbing findings. Most concerning is that refugees, mostly minors, continue to arrive daily to the Calais area and the situation is becoming more critical every day. We still need your help more than ever. With the devastating news that the transfer of minors to the UK has halted, and the broken promise that those who willingly went to French welcome centres would not be deported under the ‘Dublin’ system, distraught refugees have nowhere left to turn but the cold streets of Paris or the lost hope of Calais. They are therefore returning to conditions that are now worse than the Jungle ever was, as sleeping rough means night after night in sub-zero temperatures with no running water, sanitation, cooking or washing facilities. Just one element of our work includes taking food and aid daily to around 70 people sleeping rough in the Calais area. Many of these are children who have run away from the French centres after learning that they won’t be taken in by the UK. Given that these refugees are in hiding, it’s reasonable to assume that there are many that we have not yet found. Here in Calais night time temperatures are dropping to minus four and we are extremely concerned for their welfare. Just last week the French police came along and blocked up the place where they were sheltering so that they could not access their belongings or sleeping bags and blankets. If this sounds like you then please email clare@care4calais.org to register your interest today. We’d love to hear from you and really look forward to welcoming you to our team.